This is a follow-up to my previous post on the subject, to look in a bit more detail at actual, not just potential, returns from From Darkness, Comes Light. As of 1st July 2012 I’ve merged the corrections and the discussion on the various options from here into the previous post to keep it all in one place. The big change is that the recent buff to Mindbender with Build 15799 (1.0% per swing -> 1.3%) it’s a stronger choice now and competitive with the others, although still probably not an automatic go-to since PW:Solace and FD,CL have greater potential. In my initial comparison of FD,CL procs I chose to simply treat them as occurring on 15% of casts, and thus attributing 15% of the mana saving (19,500 mana) to each eligible heal. That’s fine in spreadsheets and for simplifying the analysis, but how can we quantify the randomness? One way is to simulate a lot of encounters and see what sort of range we might expect. Bare minimum – 2 casts per minute – Mean saving per fight: 29,253 mana – StdDev: 22,456 mana. Tank-healing heavy – 20 casts per minute – Mean saving per fight: 295,563 mana – StdDev: 70,406 mana. If you’re casting FD,CL-eligible heals infrequently you might get lucky and nearly double your returns but you’re just as likely to end up with practically nothing. If you cast frequently you’re better off, but you could still end up losing out on a quarter of the returns you were expecting. Obviously over a longer fight the numbers will even out a little better, but the majority of the fights do fall into the ~5-6 minute range, at least in Cataclysm. The point of all this is that because of the huge variations of FD,CL’s procs you really need to be casting a lot of eligible heals to be sure of getting the benefit. When comparing PW:Solace and FD,CL, you should underestimate the value of FD,CL, particularly if running out of mana is likely to be a killer rather than an inconvenience. PW:Solace gives you flexibility that FD,CL does not. Again, this doesn’t change the conclusion that PW:Solace is better for raid healing and FD,CL only if you’re tank- or single-target-healing a lot, but it does shine light on the massive unreliability you can expect to see in FD,CL returns. 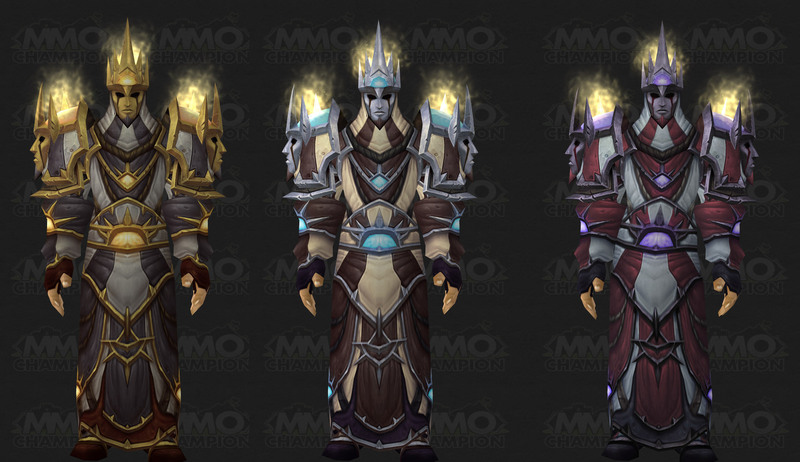 Tier 3 of the Priest talent tree for Mists of Pandaria will be all about mana regeneration. But which is the best option: From Darkness, Comes Light? Mindbender? Or the shiny new Power Word: Solace? Updated 24th June, see the follow-up post for details. Updated again 1st July, to take account of the 1.0% -> 1.3% bump in Mindbender’s mana return. This changes the conclusions a little: originally Mindbender was barely an advantage over Shadowfiend, now it is a viable option. For another take on this, Derevka at Tales of a Priest has carried out a similar analysis including presenting the data in some slightly different ways. That’s well worth a read as well; more eyes and more opinions are of course always a good thing for the community, as are different ways of explaining and presenting things. From Darkness, Comes Light – Gives you a 15% chance on casting a Smite, Heal, Flash Heal, Binding Heal or Greater Heal to get a free, instant-cast Flash Heal. You can store up to 2 free heals. Mindbender – Replaces Shadowfiend with a Mindbender. With Mindbender you get 1.3% Mana per swing instead of 3%, but a 1 minute CD instead of 3 minutes. You also get an extra two swings from the Mindbender because it has a 15s duration compared to the Shadowfiend’s 12s. The Mindbender’s damage is around 5.5k per swing (for me at level 88) compared to around 6.5k for the Shadowfiend. Power Word: Solace – New! Deals light damage to an enemy, but grants 2% of mana back per cast. Priestly Telluric Currents, if you will. (Currently this restores mana even against immune enemies or if you miss, which is convenient). First I’ll look at Mindbender and compare it to the other two options, then discuss the comparison of FD,CL with PW:Solace. If you just want the short version, then skip to the conclusions. 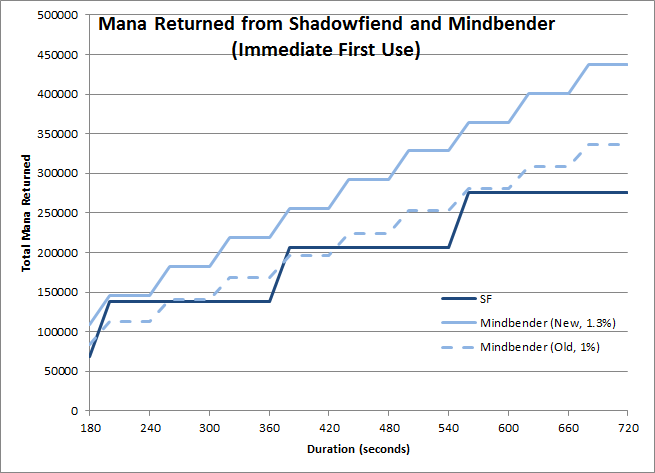 The graphs below show the amount of mana returned for Mindbender compared to Shadowfiend for a range of fight durations from 3 to 12 minutes. Because Mindbender replaces Shadowfiend, this is the net benefit of taking the talent. The first shows the best-case situation, where you cast Shadowfiend or Mindbender pretty much on the pull and none of the mana returned is wasted. At level 90 this is consistent with chain-casting anything but Heal. This also assumes a 15% miss chance (healers are likely to have no hit bonus, and 15% is the standard chance to miss a boss-level mob). Under this scenario Mindbender generates additional mana, both because of the extra swings and higher mana per swing, and because of the greater granularity (so you can fit more casts in. If you don’t need the mana in the very early stages of the fight and delay the first casts of both until you’ve opened up a suitable mana deficit, the effect is more pronounced. 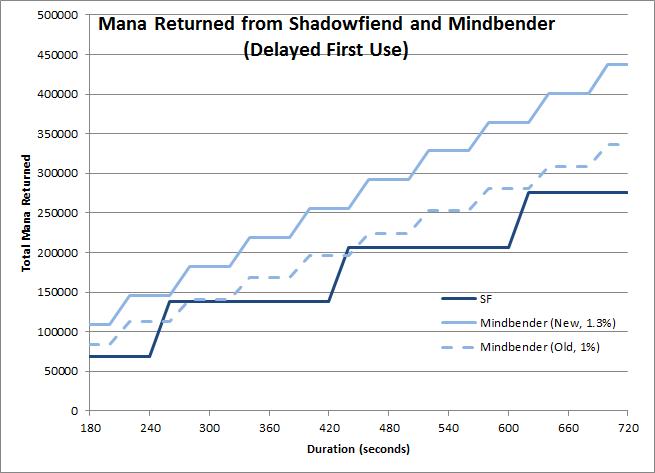 The second graph shows the effect if you choose to delay Shadowfiend for a minute after the pull compared with waiting 20 seconds to cast Mindbender (in both cases the delay is sufficient to let a sufficient mana deficit build up, even being fairly frugal with mana). In this case the greater granularity of Mindbender lets you fit an extra cast in much earlier, opening up a slightly larger gap over most fight durations. However, remember that the benefit of Mindbender is the difference between Mindbender and Shadowfiend. So the possible advantage of Mindbender over Shadowfiend needs to be weighed against the potential benefit of the other two talents. Looking at the graphs the gap widens and narrows as the encounter duration changes. For a 12-minute fight the gap is the largest, at 162,180 mana. To compare that to the other talents, consider that PW:Solace gives 2%, or 6,000 mana, per cast. So Mindbender equivalent to 162,180/6,000= 27.03 PW:Solace casts over the course of the fight, which is 2.25 PW:Solace casts per minute over 12 minutes. 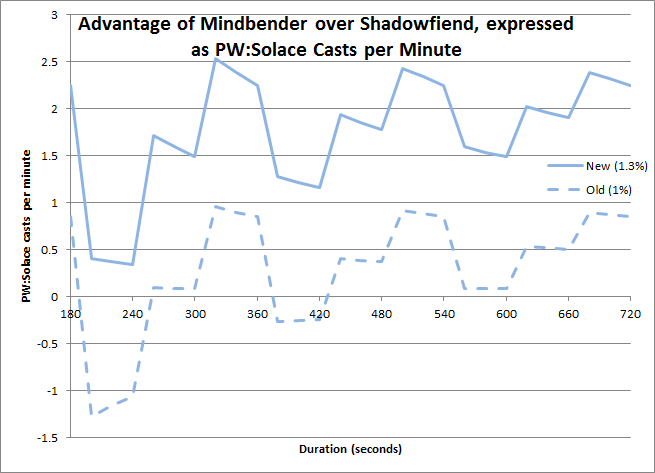 So if you can squeeze in just over 2 PW:Solace casts per minute, PW:Solace beats Mindbender. Since 2 FD,CL-eligible heals are worth roughly 1 PW:Solace cast, double those figures to see how Mindbender compares to FD,CL. The dotted line is where things used to be at 1%, and the solid line is the current state, including the buff to 1.3%. While there is a lot of variation depending on the fight length, the range is generally between 1 and 3 PW:Solace casts needed to break even, and typically comes out around 2, on average. The bottom line is this: if you can cast at least 3 PW:Solaces per minute of the fight then Mindbender is simply the weaker choice. If you’re not sure, check the chart and consider the likely fight length, and decide whether you think you can hit the target number instead. The Mindbender does a lot more damage over the course of the fight. Each SF cast is good for about (depending on crits and misses etc, of course) around 50,000 damage; Each Mindbender cast also accounts for around 50,000 damage but you get 3 Mindbenders to every Shadowfiend, so you’re comparing 50,000 to 150,000. When DPS counts, Mindbender gives an advantage, albeit a small one. If you’re not casting single-target heals very often, the choice becomes simpler because you’re not going to see the benefits of FD,CL. But if you’re doing a bit of both, how do you decide? Let’s get a feel for the numbers first. Assuming no internal cooldown, FD,CL has a 15% chance to proc from one of the named heals. We can (very roughly) say that each eligible cast you make is worth 15% of the mana cost of Flash Heal, or 2925 mana at level 90. PW:Solace is worth 2% of your mana per cast, or 6000 mana at level 90. With those numbers in mind, have a look at your logs or just make an educated estimate of how many times you’re casting an eligible heal in a fight. Divide that by 2 and that’s how many PW:Solace casts you’ll need to squeeze in to come out ahead. Remember that Evangelism procs from Penance in MoP, so if you’re heavily raid healing then you may not need to cast Smite at all. This means that FD,CL is not an automatic choice for Discipline even if we’re using Archangel liberally. As a general rule of thumb to get started, if I were going to be primarily raid-healing I’d lean towards PW:Solace to begin with, while if I knew the tank might need more attention on a given encounter I might try FD,CL as my first pick. But the key to maximising this is actually reflecting on your healing style and the number of PW:Solace opportunities in a given encounter and making an informed decision. For tank healing FD,CL looks like the strongest choice. If you’re able to cast more than 6 FD,CL-eligible heals per minute (and you should be if you’re healing the tank) then FD,CL beats Mindbender. Deciding between FD,CL and PW:Solace is trickier, but bear in mind that you need to fit in at least 1 PW:Solace for every FD,CL-eligible heal you cast. If you’re throwing a stream of Heals and Greater Heals (with PW:S, Penance, PoM and Smite/HF woven in) at your tank then you’re looking at somewhere on the order of 10 PW:Solace casts per minute to break even. For raid healing PW:Solace should be your first choice. To guarantee to beat Mindbender you need to fit in 3 Power Word: Solace casts per minute on average, but you can often come out ahead with just 2 PW:Solaces per minute. However, if you’re finding yourself in a ‘floater’ role and you find that you’re casting more than twice as many FD,CL-eligible heals (Heal, Greater Heal, Binding Heal, Flash Heal and Smite) PW:Solace casts, then you might see a greater benefit from picking FD,CL. I’d recommend starting off with PW:Solace and looking for as many opportunities to cast it as possible, and then checking your logs and seeing what’s most appropriate for your playstyle. Remember that PW:Solace has the most potential if you can find and take the maximum number of opportunities and cast it as often as possible. Mindbender is valuable for non-stop raid-healing when you aren’t going to benefit from FD,CL but also can’t squeeze in enough PW:Solace casts. Its fire-and-forget nature leaves you free to get back to what you’re doing without much thought and management. So, what’s in store for us Discipline Priests in 4.3? The Vestments of Dying Light are available in tasteful gold, blue or red, depending on your raiding tier of choice. After my initial “WTF!” reaction, I sat and looked at the set for a while and it really grew on me. There’s definitely something Priestly about it, but not the gentle, friendly image of a Priest but instead has us putting our serious face on (literally), filling ourselves with smouldering, barely-restrained power of the Light and getting prepared for the grave business of taking on Deathwing. Healer, 4P — Your Power Word: Shield has a 10% chance to absorb 100% additional damage and increase the mana granted by Rapture by 100%, and the duration of your Holy Word abilities is increased by 33%. So, let’s take a look in detail. The 2-piece bonus is handy, but also a bit of a head-scratcher. 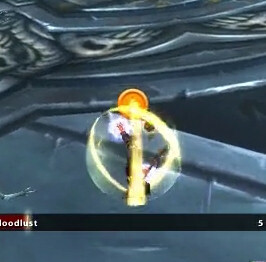 It’s been pointed out on EJ and elsewhere that this presents Disc Priests with something of a question: should we be casting Power Infusion on cooldown just for the mana reduction, or should we be saving it for when we actually need the throughput. PI has a split personality already though, with the throughput and mana saving components. I find myself mostly using it as a throughput cooldown, popping it when I shift to the healing-intensive part of a fight, and since that’s where the expensive spells (PW:S, FH, PoH) hang out, I figure I’m probably getting a good benefit from it. The thing to remember is to make sure you’re using it vaguely sensibly, i.e. when you’re going to be healing hard, and make sure you get as many uses as practical and don’t leave it languishing on cooldown unless you know there’ll be a point where it’s vital. It’s also attached to Divine Hymn, which works for the same reasons – we’ll be casting DH when things are getting tight, and this mana cost reduction will help offset the costs of healing people up afterwards. The 4-piece bonus for Discipline is a bit of a conundrum. The way it works seems to be that one in every 10 times you cast PW:S (on average), it’ll absorb twice as much and give a double-sized Rapture proc when it breaks. This in itself is a decent bonus: Disc Priests bubble someone at least every 12-15s for Rapture, more often if you’re tank-healing, and in the Dragon Soul you might well find yourself with moments where throwing out bubbles more frequently pays off, so as long as you’re using PW:S regularly you should get the benefit. You will have to be careful when using PW:S as a pure raid-healing spell though, because a larger bubble is less likely to be totally consumed and possibly end up preventing what might otherwise have turned into a Rapture proc. It’s fine for tanks, but on the raid you may want to think about where you PW:S to make sure it will be fully absorbed. Depending on your Mastery you may need a hit well over the 60k mark to burst it. Divine Hymn now affects 5 targets, up from 3. Atonement will now account for the target enemy’s combat reach when calculating proper range, enabling it to be used on large creatures such as Ragnaros and Ala’kir. Divine Aegis has a new spell effect. Spirit of Redemption has been rebuilt to address a few functionality issues and make it more responsive. Spirit of Redemption otherwise remains unchanged. State of Mind has been redesigned and is now called Heavenly Voice. Heavenly Voice increases the healing done by Divine Hymn by 50/100%, and reduces the cooldown of Divine Hymn by 2.5/5 minutes. Guardian Spirit’s healing bonus has been increased to 60%, up from 40%. Holy Word: Serenity now has a cooldown of 10 seconds, down from 15 seconds. Glyph of Circle of Healing now also increases the mana cost of Circle of Healing by 20%. On the left is the “old DA” applying and then persisting, and my “new DA” video from the PTR is on the right. Unfortunately the old DA procced from a Glyph of PW:S crit, so there’s the PW:S graphic in there to confuse things, but the effect is clear enough. That new still is so damn tasty I’m using it as my avatar just about everywhere I can. It looks so sweet! 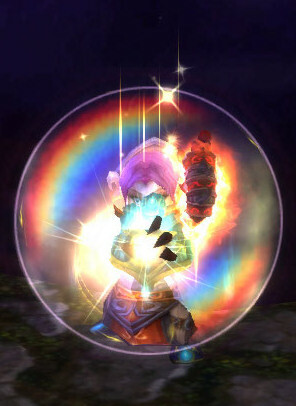 The old Divine Aegis used to wrap beams of light around the player as the bubble appeared, while the new one sort of expands a rainbow-coloured soap-bubble effect instead. I can see how the old effect could end up looking very flashy and noisy on screen, whereas the new one, while still really cool and colourful, has less point movement and is less bright overall. 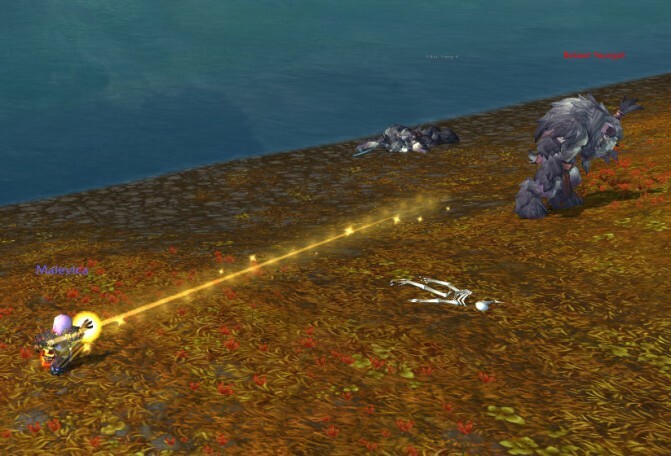 I was really thrilled to be getting something all-new, until I noticed that this same soap-bubble effect procs when a Mage uses Arcane Blast (it’s Arcane something anyway) on a mob. Still, it looks damn good, even if it is borrowed. It’ll look better on us anyway! OK, more seriously, the Atonement change. Finally, two tiers later, Atonement works off the boss’s hitbox rather than the boss’s centre. I presume there must have been something big and scary and technical preventing this change from making it in earlier, or perhaps Ragnaros brought it to a head in a way that Al’Akir didn’t manage to. Anyway, good news. Finally for us, a small buff to Divine Hymn for all Priests, with it healing 5 targets rather than 3. That should help its throughput for both specs, although Holy gets a much improved version as their new raid cooldown: double the healing and a 3-minute cooldown means Holy has its own Tranquility to play with. My initial reaction was (of course) to get all angsty and bitter that Holy gets buffed and Disc doesn’t, but actually there have been several fights I’ve ended up staying Disc because of the combination of PW:Barrier and an AoE pulse. Now that Holy gets a powerful raid cooldown of its own the dual-spec option opens right back up again, and that can only be a good thing for the class. It’s no nerf to Disc, just a rebalancing of the specs in the sorts of bursty fights where Disc currently dominates because of a single spell. GC agrees. Just think of it as another powerful raid cooldown for the rotation and enjoy it. We need to know how our other healing friends will be changing this patch too, so we know how to work well with them and play to our respective strengths. Ancestral Healing now also causes the shaman’s heals to increase the target’s maximum health by 5/10% of the amount healed, up to a maximum of 10% of the target’s maximum health, for 15 seconds. This effect does not stack if multiple Restoration shaman are present, and does not apply to heals from procs. The wording suggests that this doesn’t need a crit and is a bonus attached to the Ancestral Healing talent, not the buff, so it shouldn’t matter whether the tank has Ancestral Fortitude (the damage reduction buff) or Inspiration on them. Your Shaman should try to keep up the Ancestral Vigor buff (the 10% HP buff this creates) on tanks. On the PTR, when it fell off it dropped the player’s maximum HP back down again, but also reduced their current HP by the same amount, which was certainly not ideal because it meant that extra healing done while the buff was up was lost again when it expired; hopefully this has been fixed before going live. Druids don’t have much new this time, although they are getting small nerfs to Wild Growth, they shouldn’t change how they heal much. Wild Growth healing has been reduced by 20%. Glyph of Wild Growth now also increases the cooldown on Wild Growth by 2 seconds. This, combined with Light of Dawn, means they will be capable of some pretty loopy (albeit costly) burst AoE numbers when the raid is all stacked up, so bear this in mind when considering healing assignments. It might be that we Discipline Priests shift more onto tank-healing when the fight mechanics favour the new HR, and swap with our Paladin brethren when the raid is more spread out. Paladins are also getting a small mana nerf because Judgement will no longer return 15% of base mana. This shouldn’t be too much of a problem, and it’ll free up a lot more GCDs for them. Blizzard recently put out a call to the community for feedback on the classes, presumably with a view towards setting the direction for the next expansion and beyond. There have been some great posts already for the Priest class, and the one thing that’s struck me from reading the posts from healers of all stripes is just how much of a range of opinion there is out there. In this spirit, here’s my two penn’orth! PvE, very strongly. I might wander into AV from time to time, but that’s really it for PvP. Raids primarily. I’m not in server-first guilds, but I’ve generally worked my way through heroic modes to some extent. The 30-yard range on our Holy spells (HF, Smite, Penance). It just seems a bit outmoded now, especially given that the Atonement spec exists and those aren’t spells we only use while soloing. The other big thing that would make my life easier is better damage when soloing, or not giving mobs ever-increasing health pools. I don’t have a third spec for Shadow, nor do I particularly want to spec that way. It’s way better than it was in the TBC days, but places like the underground areas in Tol Barad with high HP mobs and very fast respawn meant I was almost unable to get out of combat down there. Otherwise it’s little things like a crafted wand to go with every other class’s crafted relics (although the VP wand meant that wasn’t so much of a problem in T12, so perhaps T11 was an oversight). Oh, final one: please can we have more undead mobs to CC? Not vital ones in boss encounters, I understand about bring the player not the class and all that, but putting an undead or two in trash packs would give us some reason to use Shackle again. You could make me extra happy by making the Glyph of Divine Accuracy affect Shackle too. For me it’s really about shifting gears and making us use more of our abilities. Doing the same thing all fight can be dull, but a fight or raid where you can be on tanks for a while, then on the raid for a while, and then on quick triage for another period keeps me engaged. Priests have a lot of versatility and we make excellent “float” healers, it always feels good to feel like we’re using that skill set. That versatility extends to gear as well. I feel that of all the classes we have the least constraints on stat choices. On the one hand it’s been weird in this expansion not to be stacking one stat exclusively, it’s made gearing a bit more complicated, but on the other hand it’s been really good to be able to pick and choose gear based on the fights to increase performance for a given situation, rather than having it pre-determined for everything. We also have good utility, with tank cooldowns in both specs, and Discipline having an additional raid cooldown and Power Infusion to play with. I play to help the team, so having special moves to make the most of really works for me. I like playing Discipline specifically because it feels more proactive than something like a Paladin or Shaman (I may be grossly misjudging these classes! ); it feels like more of a cerebral challenge to predict where you’ll be needed and get prevention in place, rather than reacting quickly after the fact. You need both styles within a raid, and I like the interplay between them. (On that subject I like the control that party-based PoH gives for proactive damage prevention, and I hope that doesn’t go down the smart-heal road). Fights like Ragnaros where the mechanics prevent Atonement from working (the tanks can’t be within 15 yards of Rag without being in the lava) are a disappointment for me. Atonement isn’t always appropriate, but I do feel that it should be up to us to decide that or find it out. Something else that makes playing a Priest less fun is Divine Hymn having an 8-minute cooldown and feeling relatively weak, especially when compared to Druids using Tranquility every 3 minutes and hitting more targets for about the same each. I appreciate that Druids don’t have any other raid cooldown so I can see why Tranq is where it is, but that doesn’t stop DH from feeling underpowered all the same when it is (inevitably) compared side-by-side, or even compared against just throwing Flash Heals out there. The +10% healing buff is nice though and can be used to good effect. I suppose the other thing that bothers me is the lack of Minor Glyph options for me. As a raider my Shadow Protection doesn’t tend to run out (and it’s not a big deal if it does), so my third Minor tends to be Shadowfiend, which just doesn’t seem to every get used. Perhaps there’s room for more fun options like model changes for the Shadowfiend, tweaking the Archangel wings, or more practical ones like reducing the mana cost of Shadow Protection as well. I think that Priests are in a pretty good place. We have a tool for most situations, and we don’t have too fixed a rotation to obsess over although we can settle into something approaching a rotation when we need a chance to think. I like the interplay with Strength of Soul and direct heals allowing us to use our PW:S more often. Although I do find that the lowered Weakened Soul duration can take a while to reach my end, to the point where I often don’t cast a PW:S after lowering the WS duration to zero because I’ll just be told I can’t do that yet, which negates a lot of the value of the talent in a PW:S, Penance, Heal, Heal, PW:S type rotation. I wonder if it’s possible to fix that at all though, given the client-server nature of the game. I’m glad there’s not much in the way of procs to watch out for, at least for Discipline, which allows me to prepare and think about my next move instead of switching around to react to some thing new, or generally having my flow interrupted. Really the things mentioned above. I don’t feel we’re really missing anything in particular because we have such strong versatility, it’s more a matter of tweaking what we have. Longer range on Smite and Holy Fire (and Penance if possible) and no more bosses that render Atonement more or less automatically ineffective due to range. Something to Shackle every now and then! From my healing toolbox, Renew, probably. It just doesn’t compare favourably enough in HPM terms to the alternatives, even compared to Flash Heal (Renew: 7304 HPCast, 3.09 HPM; FH: 11627 HPS, 2.78 HPM in my gear), to make it a go-to spell for Discipline, and there aren’t enough talents points spare to buff it enough to make it worthwhile. I’d use it more as a tank heal if it could auto-refresh like Chakra: Serenity makes it do for Holy. Other than that, Mind Control, Mind Vision, Mind Soothe and Fear Ward. These are all situational. Fear Ward hasn’t been much use lately because of a lack of fearing mechanics on bosses, which might be something to pass to the designers to look into. I really do love the quirky functionality of Mind Vision and Mind Soothe though, they’re just not especially raid-relevant, although I did read a suggestion elsewhere to add an enrage dispel to Mind Soothe which I thought was a great idea, assuming there’s a need or desire to spread that around any more. 4.1 is upon us, so here’s a quick guide to how it will affect you as a raiding Disc Priest. (This is by no means exhaustive and I reserve the right to edit it over the coming days). Divine Aegis duration has been increased to 15 seconds, up from 12. Power Word: Shield duration has been reduced to 15 seconds, down from 30. This pair of changes is intended to limit any temptation Disc Priests might feel to drift back to bubble-spamming again, particularly as gear levels and therefore mana regeneration improves. The change to PW:S’s duration should be something that most Priests won’t really notice, since I doubt many of us were blanketing the raid before this change. The DA change is a nice improvement though. In 25-man raids there are a few occasions where maintaining DA on all 5 groups was useful, and a 12s duration made that difficult/impossible. For example, on Atramedes you could rotate PoH across each group to heal them up after Modulation and put up a protective DA bubble for the next one, this extra time allows you room to refresh it on the first groups with a follow-up PoH. Power Word: Barrier’s cooldown has been increased to 3 minutes, up from 2, and its effect has been reduced to 25%, down from 30%. Blacksen did a really in-depth write-up of the changes to the cooldowns across the classes that are in 4.1, so I’d direct you there if you’re interested. The changes to PW:B (and Divine Guardian) seem intended to bring all the main cooldowns into line with each other, setting 3 minutes as the standard duration and presumably bringing the effectiveness in line as well. This probably has advantages both in terms of encounter design (where the number and strength of available cooldowns per minute is better-known to the developers, boss specials can be better-designed around this figure) and in terms of raid balance (when every cooldown is on the same interval and has approximately the same effectiveness, that removes one reason for picking one class over another). As a Disc Priest I’m obviously slightly disappointed to be nerfed, but the change from 30% to 25% isn’t game-breaking and if that’s what it takes to better balance the raid cooldowns then I’ll trust Blizzard’s judgement on this one. Holy Fire damage has been increased to be approximately 30% higher than Smite. Atonement now works with Holy Fire in addition to Smite. The direct damage portion of Holy Fire can now trigger Evangelism. Glyph of Divine Accuracy now also affects Holy Fire in addition to Smite. A whole raft of changes to the Atonement/Archangel/Evangelism healing style here. The short version is that Atonement and Evangelism have been changed to incorporate Holy Fire as well as Smite: HF will heal with Atonement and the initial hit will also add a stack of Evangelism. To help facilitate this, the change to the Glyph of Divine Accuracy removes the annoying risk of wasted time (and possibly a dead tank) due to a missed HF. These changes mean that HF should be an integral part of the AAE rotation again. The bump to the output of Holy Fire is a straight throughput increase for the rotation, and of course now that we’re casting HF routinely and without penalty the Glyph of Smite reprises its place amongst our Major Glyphs, for another flat 20% increase to the output of the AAE style. Of course, the AAE approach still isn’t as predictable as directly healing your target when there’s multiple possible targets for the Atonement heal to land on, but where it is usable you should see significantly improved results. As an enthusiastic supporter of the AAE spec I’m rather pleased about the output buff as well as being encouraged to add an extra spell to the rotation. Dispel Magic can only be used on the casting priest as a baseline effect. Discipline and Holy: Absolution (new passive) enables priests to use Dispel Magic on up to 2 harmful effects on friendly targets. This change shouldn’t make any difference to Discipline or Holy specced Priests, but if you’re accustomed to having your Shadow brethren help with dispels in a pinch then you’ll need to rethink that from now on. Note that this doesn’t affect our ability to offensively Dispel, regardless of spec. Not a surprise there, it wouldn’t be in keeping with Blizzard’s current direction if they narrowed the number of range of specs with offensive Dispels. Inner Will and Inner Fire now last until canceled. A nice quality of life change here. OK, it’s not the biggest deal, but it’s technically a buff! Priests now innately have 100% pushback protection from damage while channeling Divine Hymn and Hymn of Hope. This is a much bigger deal. Even if you bubbled yourself just before starting the channel this would often not be enough to get you through without losing at least one tick of the channels, and particularly in the case of Divine Hymn this could cost a significant chunk of healing when you need it most. As with the other raid cooldown changes I see this as a measure to normalise the effect, making it more predictable and thus better-balanced and easier to design around. It is now possible to remove Weakened Soul effects that were a result of another priest’s Power Word: Shield through Strength of Soul. I suppose if you had multiple Disc Priests in raids, or a particularly bubble-happy Holy Priest, this could be helpful. It’s a nice, sensible change anyway. Druid: Efflorescence has been redesigned. It creates a healing zone at the feet of a Swiftmend target, but this healing zone now restores health equal to 4/8/12% of the amount healed by Swiftmend to the three most injured targets within 8 yards, every 1 second for 7 seconds. This periodic effect now also benefits from spell haste, but the individual ticks cannot be critical effects. In case you’d missed the memo, this is a buff to Efflorescence overall, making it like a much lighter, area-limited version of Divine Hymn. However, from our perspective as a non-Druid, we need to be aware of this change. When there are a lot of players inside the Efflorescence zone, the new version will bring up the lowest health bars but leave the higher ones alone, while the previous incarnation would have brought everyone up equally. When it’s important to top off the group (before an Electrocute, for example), you might be better off focusing on the groups and players with the smallest health deficits rather than those most injured, since you’re now competing with yet another smart heal on the most injured players. Shaman: Spirit Link Totem (new talent) reduces damage taken by all party and raid members within 10 yards by 10%. This lasts 6 seconds, and every second it is active the health of all affected players is redistributed among them, such that each player ends up with the same percentage of their maximum health. This counts as an Air totem and has a 3-minute cooldown. This new raid cooldown is going to prove very interesting; Again, I’m going to refer you over to Blacksen’s End for a very detailed write-up with examples. Chimaeron’s Feud Phase – If you use it on the raid, Spirit Link Totem is essentially reduced to a 10% damage reduction here; everyone is taking similar damage and therefore their health pools will all be roughly even, leaving little room for health redistribution. Omnotron Defense System (Arcanotron) – In this case the damage from Arcane Annihilator is focused on 3 people (on 25-man) at a time, so Spirit Link Totem looks like a great tool to bring their health back up by taking a small amount from the health bars of everyone around them. However the spread-out nature of the fight, combined with the relatively small 10-yard range of the Totem, means that the effectiveness is significantly reduced. Cho’gall – Whenever Cho’gall has Flame’s Orders or high stacks of Twisted Devotion the tank will be taking unusually high damage while the raid will not. Under these circumstances, where the Totem has time for its redistribution effect to work, this can significantly reduce the net damage the tank takes by effectively spreading it out across the melee/raid. You might also be able to use this to good effect in the final phase if the redistribution is not affected by the healing reduction of the tentacles; I’ve not tested to see if this is the case, but if so, it opens up some interesting possibilities. Warrior: Rallying Cry (new ability) is available from trainers at level 83. It temporarily grants the warrior and all party or raid members within 30 yards 20% of maximum health for 10 seconds. After the effect expires, the health is lost. It has no cost, no stance requirements, and is not on the global cooldown. It has a 3-minute cooldown, but also shares a cooldown with Last Stand. You’d be well-advised to keep your eyes peeled for this one, to make sure that when it ends everyone is over 20% HP. It could be very handy, for example, on Chimaeron if the raid is in danger of dying during the Feud, or on Chimaeron Heroic to extend the final phase for a few seconds longer if people are in danger of dying to the soft enrage (Mocking Shadows) as you might be on your early attempts. The Dungeon Finder: Call to Arms will now identify which class role is currently the least represented in the queue, and offer them additional rewards for entering the Dungeon Finder queue and completing a random level-85 Heroic dungeon. 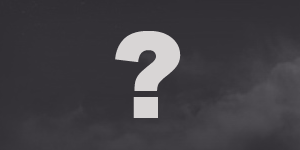 The least represented class icon will show within the Dungeon Finder to indicate the role that is eligible to earn the bonus reward. Players must queue solo with the currently indicated least represented class (by the system) and complete the dungeon up to and including the final boss in order to be eligible for the bonus reward [… which may include]: gold, rare gems, non-combat pets, and (very rare) mounts. While most of the shortages these days tend to be tank shortages, it’s quite possible that we’ll find healers in demand from time to time. It’s also possible (at least it was on the PTR) to have more than one Call to Arms active at the same time, depending on how the thresholds are set up we might see a healing Call to Arms fairly often or very rarely indeed; only time will tell. A dead player can now be resurrected by targeting them using the Party or Raid Frame even if they have released. No more hunting for corpses. About time too. I wonder if this will also fix the problem of someone releasing during a resurrection cast. Conquest Points are now purchasable from the Valor Quartermasters at 250 Conquest Points per 250 Valor Points. Honor Points are now purchasable from the Justice Trade Goods vendors at 250 Honor Points per 375 Justice Points. Justice Points are now purchasable from the Honor Trade Goods vendors at 250 Justice Points per 375 Honor Points. If you’re gearing a new toon then being able to spend some time in PvP and translate that time into PvE points, albeit at a 50% mark-up, could prove quite appealing. Similarly, another outlet to bleed off excess Justice points, this time into Honor points to build up a PvP set, is a welcome addition.